Kris Katchit has been a jester at numerous Medieval Banquets and Weddings in castles and stately homes all around the country. Standing tall on his stilts he is ideal for meeting and greeting or mixing and mingling at any event. 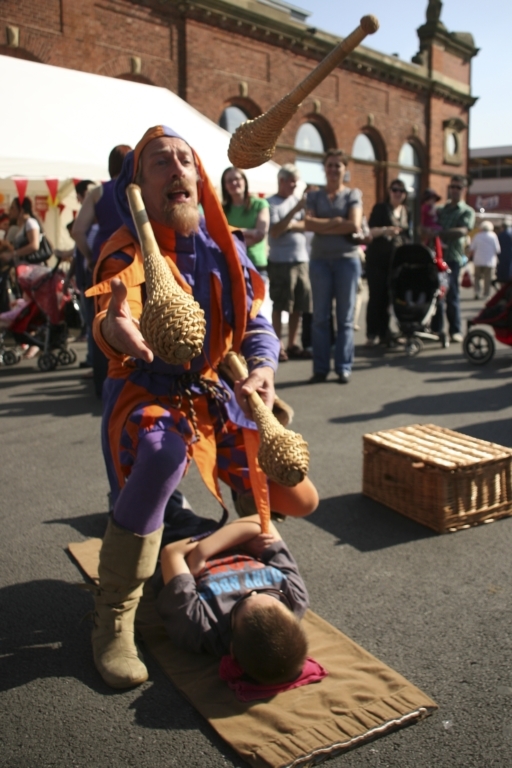 If required he can perform a show featuring juggling (including chickens [rubber! ], knives and fire), juggling whilst lying on the bed of nails or walking across broken glass, or balanced precariously on a plank supported by only one chair back.